Calling all fans of blues and rock!! 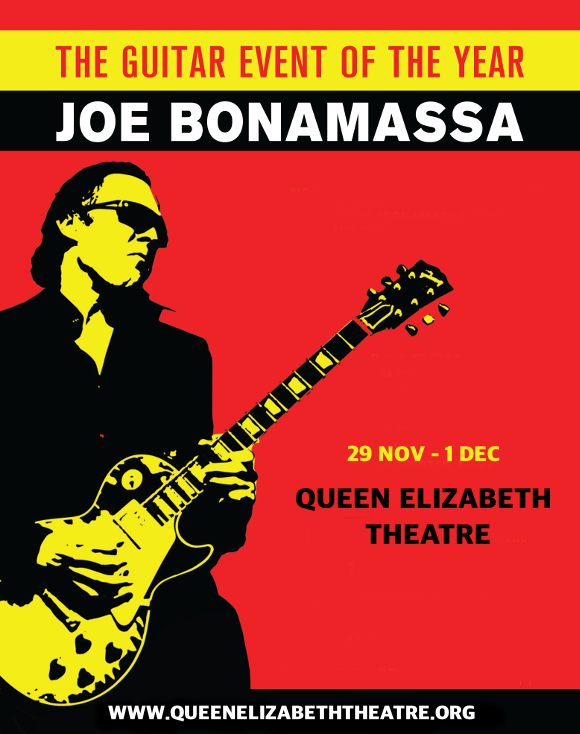 The unmissable virtuosic guitarist Joe Bonamassa is on tour, coming to the Queen Elizabeth Theatre on Friday 30th November 2018! Known for his phenomenal live shows, this is a performance that no guitar enthusiast can afford to miss! Hit the “Buy Tickets,” now to get yours – no service fees or shipping charges apply for any tickets bought direct from this website! Starting to play age 4, Joe Bonamassa showed unusual talent from an early age, and at age 11, was mentored personally by Danny Gatton! By the time he was 12, he was touring with his band Smokin' Joe Bonamassa, and opened for BB King at around 20 shows in 1989. By the time he was 18, he was playing with the sons of Robby Krieger, Berry Oakley, and Miles Davis in a band called Bloodline, drawing even more attention to his incredible guitar skills. Today, he is well-known and respected as one of the best solo guitarists in existence!! What are you waiting for?? Get your tickets to see Joe Bonamassa live TODAY! !